The final installment in a 3-part series, female voice over talent Debbie Grattan and voiceover narration powerhouse Ed Victor touch on narration, home studios and voiceover agents. Debbie Grattan, VO Pro: What is it like to be a heavy-hitter voice talent working out of a home studio? Voiceover Narration Talent, Ed Victor: In a nutshell, it’s great! However, there are some geographic aspects that I get to deal with living where I live. Florida is a right to work state, which means they hire non-union people and they prefer to hire non-union people for many reasons. Even though I’m in Florida, approximately 90 percent of my work is outside of Florida. When working remotely as a voice talent, I believe you simply must have an ISDN voice over studio because you need to be able to connect easily to stations and studios all over the country. DebbieG VO Pro: Do you find it to be a hindrance working from Florida? Voiceover Narration Talent, Ed Victor: Absolutely. Yes, because in New York they still send voice talent out on castings, and many voiceover agencies will not bring on new voice talent unless you are able to physically be in the city. The same holds true in Los Angeles, although I think the paradigm is shifting a bit in L.A.
On the plus side, when I get an audition at 3 o’clock west coast time, I have all night and all the next morning to finish it. That sometimes gives me an extra edge on the competition. Debbie Grattan: Do you believe you need big voiceover talent agency representation to book the big jobs? Ed Victor: I do find that to be true. You need to be a big fish if you want to swim in a big pond. Major agencies will not use pay-to-play sites for voiceover talent because it’s sacrilegious. To get the coveted big jobs, you need to get into a major voiceover talent agency in one of the major cities. If you’re casting for packaged goods, you go to Chicago. If you’re casting for theatrical spots, you go to New York. If you’re casting for movie trailers, you go to Los Angeles. Debbie Grattan: Narration voiceovers are the bread-and-butter for many voiceover artists. Are you doing narration work in your studio? Voice-Over Actor, Ed Victor: I have done some voiceover narration for National Geographic recently, a job I found through my agent in Sydney, Australia. I also do a ton of corporate industrial narration which definitely helps to pay the bills. I’m not really doing very much with documentary style voiceover narrations, at least not right now. What makes narration different from other voiceover work is that you need to sound like you know what you’re talking about. A voiceover talent needs to have some “acting chops” if they want to be successful doing narration. Debbie Grattan: Are certain types of narration inherently meant for a male versus female narrator? 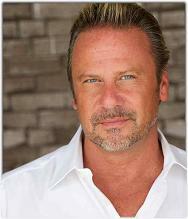 Voice-Over Actor, Ed Victor: I think it just depends on the copy, the audience, or the market you are trying to reach. I just did an audition for Exxon to be their new voice and the specs were for a “40-60 year old male or female.” That’s pretty wide open. I think the specs also said “endearing, friendly, voice you would listen to.” It can be tricky to try to get inside of the mind of the person casting to try to figure out just what they are wanting. I think that many times they aren’t even sure what they want until they hear it. Debbie Grattan: Do you have any masterful tips for voiceover artists? Voice-Over Actor, Ed Victor: Part of the reason why we hear well-known celebrity actors is because they understand instinctively what is needed to drive the spot. When you hear Peter Coyote for Apple, it sounds so simple. Everybody thinks they can reproduce it (and maybe they can), but when you’re taking just some words on a page into a booth and the director says, “Go,” you are starting from scratch, a total blank slate. You have to create it on the spot and the talent and ability to do that is what separates the wheat from the chaff. When I get a piece of copy, I like to think it through. I try to put my own personality and spin on it. That’s one thing my agent keeps telling me to do: “Be yourself, be yourself, be yourself.” There’s going to be that person that hears some characteristic that appeals to them, whether it’s the tonality, the way you deliver, or how you inflect. It’s no different than Peter Coyote. If you listen to his voice quality, you wouldn’t think he was a great voice talent. He just feels and understands the copy. That’s the key to bringing something to life. He does it beautifully. He’s a master. Debbie Grattan: Thanks, Ed, for sharing your thoughts and insights. I’m sure your voiceover career will continue on to new heights and I wish you as much success as you can imagine! If you missed part 1 or 2 of this interview you can read Ed’s marketing advice for voice actors from his perspective as a former advertising executive and learn about landing voice over actor opportunities overseas in part 2.